Just when I was starting to get at least a little tired of winter, it looks like we might be turning a corner. This weekend should feature highs in the 60's perhaps and definitely well into the 50's. Next week, we naturally should expect a cool down again, but the important thing is the trend in temperature is headed in the right direction. I wouldn't hold my breath, but it looks like we may be in store for an on time arrival with the spring hatches and at most a week or so late. This rationale was nowhere close to being formed when I woke up this morning. It was still dark outside, or nearly so, but I listened intently. Suddenly, the sound came again, loud and arguably musical depending on your listening preferences. Sandhill cranes were flying over, quite low I should add, and their loud cries had roused me from my sleep. A glance at the alarm clock showed me I still had a few precious minutes of sleep available, but it was no use. Excitement had set in. The cranes are usually the harbingers of spring, and of winter too for that matter. The huge flocks pour south in huge numbers just prior to and sometimes after the first strong cold fronts in late fall. Their preference for warmer weather is not particularly strong though as they are some of the first birds heading back north in the spring. I expect large flocks of robins will probably arrive this weekend with the warm weather. They'll stay too, assuming that the ground isn't buried under any more snow that is. If it snows, they'll retreat 50 or 100 miles south or to the nearest place that has clear ground available for worm hunting and other important activities. With the robins I expect bugs. Not food for the robins but for the trout. Blue quills, quill gordons, little black caddis, not to mention the little black and early brown stoneflies. 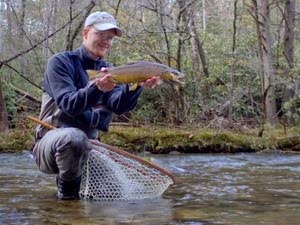 The fish of the Great Smoky Mountains National Park will respond, first with caution as if they don't completely remember what food even is after a lean and cold winter. Then, when the hatches get heavier, they'll feed with abandon, and with a little luck, I'll be standing there with my fly rod ready to cast when their noses start poking out of the water. 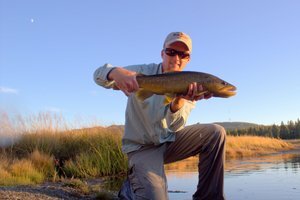 As a guide, I might not be that lucky, to catch the fish myself that is. There is a decent chance that some lucky angler will be standing with me there on the stream, asking what kind of bugs those are. 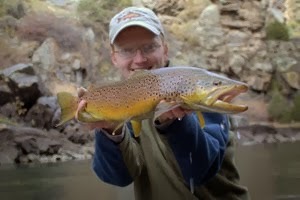 I'll smile and dig out my dry fly box, and soon the angler will be smiling too as the trout succumb to our trickery. Yes, I'm glad that spring is nearly here. 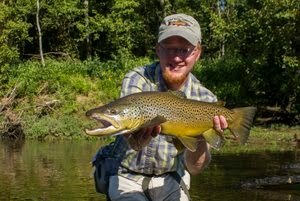 If you are interested in a guided fly fishing trip, feel free to visit my guide site at www.troutzoneanglers.com or call/text (931) 261-1884. 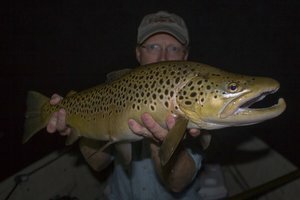 I still have some availability during the prime early season hatch times in March as well as the peak times in April and May and would be glad to help you with a day on the water that you will enjoy. Bill, we should be able to work that out if it will quit raining a little. Right now the lake is high and continues to have heavy generation on the river. Shoot me an email or give me a call and we can talk it over. Thanks! David, it was in the 60s all week here in the Mile High City! I think snow is forecast next week. Oh well. In time. Howard, the weather out there sure is crazy. 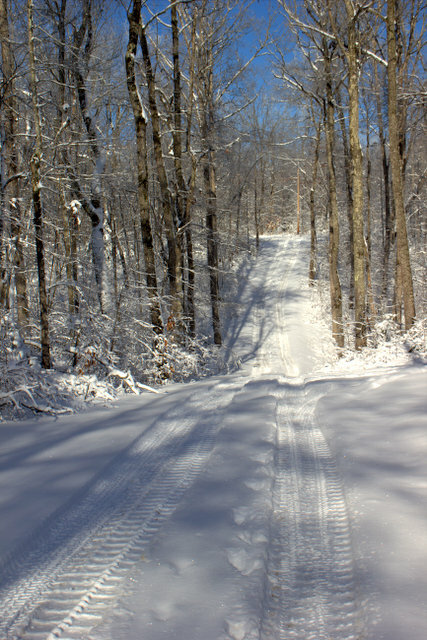 I think it is warmer on average than here in TN a lot of the time but you get a whole lot more snow.